Social media amplifiy the threat posed by Cambridge Analytica and the rest of Africa’s secretive political-consulting industry. Elections are expensive, hotly contested affairs, and political consultants who appear to offer a candidate any edge are in high demand across the world. 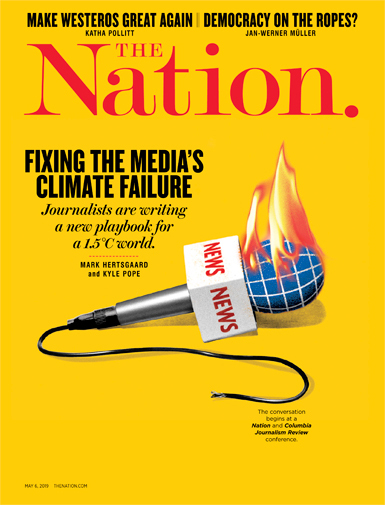 At the heart of the recent revelations about Cambridge Analytica are the unethical lengths to which such organizations will go to secure that edge, particularly in African countries like Kenya and Nigeria where there are fewer safeguards against such manipulation, and where the effects aren’t limited to the election of an unsavory candidate but include matters of life and death. Until recently, the impact of manipulations in electoral process by Western political consultants in Africa has been largely ignored, but in the past three years the consequences have become clear. The tactics that now have the United States and the United Kingdom in a panic resemble the election tinkering elsewhere. A few days after the reports about Cambridge Analytica harvesting data from millions of Facebook users to predict and influence the behavior of American voters, Channel 4 televised a documentary featuring the data firm’s senior executives gloating to undercover reporters about secretly running the election campaigns of Uhuru Kenyatta, the current president of Kenya. The report confirmed that Cambridge Analytica had been working in Kenya since 2013, and added some alarming details about the extent of that work. Mark Turnbull, a managing director at Cambridge Analytica, alleges that the firm essentially built Kenya’s ruling party from scratch: “the branding, the speeches…all of it,” he says in the video. Cambridge Analytica presents its work as unique, but companies that combine analytics and public relations are a dime a dozen. Moreover, several were deeply involved in the Kenyan election. Targeted social-media advertisements, many containing dangerous ethnonationalist rhetoric, proliferated. Key terms on search engines like Google were manipulated so that the first result in a query for opposition candidate Raila Odinga would lead to a website either supporting President Kenyatta or attacking Odinga. Privacy International has reported that Kenyatta’s Jubilee Party paid Cambridge Analytica $6 million for its services for the 2017 election. But Odinga’s opposition coalition hired Aristotle, an American data firm, to work on his campaign, a detail revealed after Kenyan authorities arrested John Aristotle Phillips, the CEO of Aristotle, in Nairobi and deported him a day before the vote. He claimed to have been driven around Nairobi for three hours by government agents and forced to watch “snuff and torture videos” on a laptop before being put on a flight out of Kenya. Aristotle maintains that his company’s work in Kenya was restricted to standard analytics and public-relations consulting, though details are scant. Likewise, many of the details regarding Cambridge Analytica’s work in Kenya remain secret, although The Observer’s recent disclosures about the firm’s dealings in Nigeria in 2015 offer clues. Hired by a wealthy Nigerian businessman who did not want the incumbent, Goodluck Jonathan, to lose, Cambridge Analytica adopted a toxic set of tactics. “It was voter suppression of the most crude and basic kind,” said a former contractor retained by the firm. This meant Islamophobic ads that threatened sharia law, violence, and anarchy across the country should presidential candidate Muhammadu Buhari win. Cambridge Analytica staff confirmed that at one point the firm brought in Israeli hackers who had procured private information about Buhari, including health records and e-mails, in order to compromise his candidacy. Buhari won the election, but the skills Cambridge Analytica honed in 2015 could then be used elsewhere. In Kenya the “Real Raila” campaign, owned and managed by a still unidentified group, used similar tactics in the lead-up to the 2017 election. In a series of short videos, the unnamed group labeled Odinga “Lord of war” and “Lord of poverty,” promising chaos in Kenya should he win the election. Harris Media, a Texas corporation, was identified as the source of this video. Several more circulated online, particularly on the messaging service WhatsApp, owned by Facebook. “We put information into the bloodstream of the Internet and then watch it grow,” Turnbull told the Channel 4 reporters in the secretly recorded video. In Kenya, that “growth” meant that an already fraught election was underscored by intense ethnic polarization. Anecdotally, a friend—highly educated, middle class—once told me she was genuinely afraid of an Odinga victory, because she thought he was determined to massacre her ethnic group, based entirely on information that she had seen online. This hints at another piece of the problem: The data mined by Cambridge Analytica allows the firm to target its message to small groups of people so that we are not all consuming the same information. This targeted advertising turns political conversations insular and heated, makes it easier to disseminate misinformation, and poisons the political discourse. None of the information my friend was consuming was made available to me until I actively sought it out as a researcher. The most accessible metric of the impact of this campaigning is that in Kenya in 2017, over 100 people died in election-related violence. But there are intangible yet perceptible consequences, too. The political discourse in Kenya has shifted for the worse. Many voters were disenfranchised by the flawed election. Between the nullified August poll and the October rerun ordered by the Kenyan Supreme Court, voter turnout dropped from 79 percent to 38. Even from differing ideological silos, there is consensus that the turbulent campaign has left Kenya more unstable, and shown that true democracy is more elusive than we thought. Cambridge Analytica, of course, did not invent this type of political consulting. The lobbying and political-consultancy firm led by Paul Manafort, one of the Trump campaign’s key consultants, had served authoritarian regimes in Nigeria, Kenya, Zaire, Equatorial Guinea, and Somalia, among other places. Manafort and his associates were instrumental in rebranding Jonas Savimbi, the Angolan guerrilla leader, as an anti-communist fighter, securing US military aid for him, and essentially delaying an end to the brutal civil war in Angola. The Intercept’s investigations into Erik Prince, former CEO of the now defunct Blackwater security empire, revealed his new firm’s involvement in the conflict in South Sudan, including an attempt to arm an agricultural plane in breach of international law. Last year, Bell Pottinger, the powerful London public-relations firm, shut down after it emerged that it had engineered a campaign to stoke racial tensions in South Africa to distract from queries over corruption in the Jacob Zuma administration. The firm only closed after South Africa’s opposition party lodged a complaint with the Public Relations and Communications Association, the organization that regulates the trade in the UK. Amoral political interference in Africa is pervasive and as old as the relationship between Africa and the West. African lives continue to mean little in the pursuit of profit. The key difference in this case is the nexus with technology, which, without precise and carefully crafted oversight, replicates and exacerbates the biases and behavior that exists offline. None of this absolves the African leaders who contract with these firms to do their dirty work. Politicians choose to spend money on these “consultants” and spin doctors. The companies heighten rhetoric that already exists. In the end, it wasn’t a foreign company that delivered a faulty election. But a functional democracy requires the free flow of accurate information, and such firms must take responsibility for their part in the chain of events that left Kenyan voters misinformed and alarmed. Beyond UK and US firms meddling in analytics, there were questions about the French data firm OT Morpho Safran, which took millions of dollars from the electoral commission to handle digital aspects of the 2017 Kenyan election, only for a third of the servers to fail days before the election. From that work, the firm keeps a copy of the Kenyan voter register as proprietary material. In 2017, only 5 million Kenyans were on Facebook while over 19 million people were registered to vote. This relatively small number of Kenyan voters on social media in 2017 and the still fresh memory of the violent 2007 election might have saved us from a more disastrous outcome. 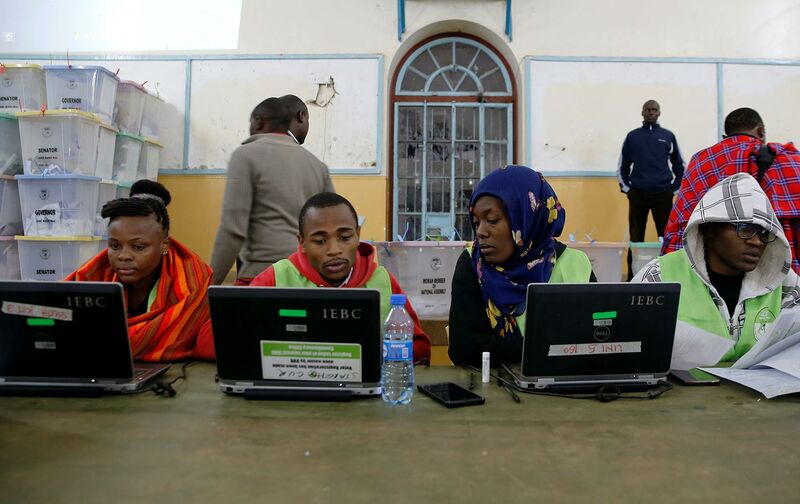 In Kenya’s next election, in 2022, millions more young, technologically savvy citizens will be voting for the first time. And many of the cast of characters who poisoned the waters in 2013 and 2017 have merely changed business cards—Erik Prince and Alexander Nix are now colleagues at a new political-consulting and data-analytics firm, Emerdata. The stakes will be higher. The Kenyan Parliament is currently debating a cybersecurity bill that finally proposes a data-protection law. But this bill focuses primarily on the threat of cyberterrorism, and proposes an ill-defined data-protection policy with at least four major exceptions, including national security. Kenyan legislators have not yet connected the Cambridge Analytica scandal to the urgency of protecting the data that Kenyans give to private corporations. More generally, now that Europe and the United States are getting firsthand experience with the kind of foreign interference that has made true democratic consolidation in the developing world elusive, we hope for better rules and oversight of American companies like Facebook that made this situation possible to protect voters in emerging democracies from digital predators like Cambridge Analytica. Nanjala NyabolaTwitterNanjala Nyabola is a writer and political analyst based in Nairobi, Kenya. She is the author of Digital Democracy, Analogue Politics (Zed Books, 2018), a forthcoming book on the impact of the internet on Kenyan politics.